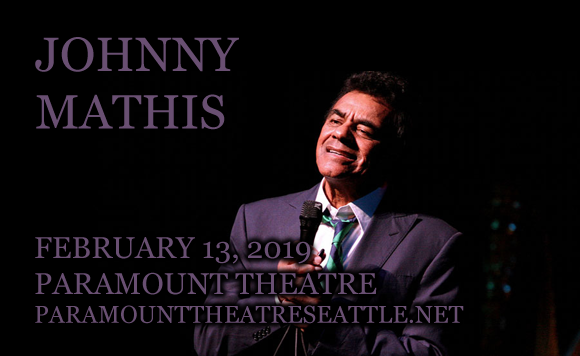 With a voice as smooth as silk and a career of hit singles that spans more than six decades, iconic singer Johnny Mathis is a treat to see live, and he's coming to Paramount Theatre Seattle on Wednesday 13th February 2019 for one unmissable night! The octogenarian crooner captivates a room like no-one else and continues to be a legendary showman and performer! Enjoy singer along to all his chart-topping songs at this magical event! Pop music balladeer Johnny Mathis ranks as the sixth most successful album artist in the history of the Billboard pop album charts, with 73 making the Billboard charts to date and several dozen of his albums achieving gold or platinum certification in the US. Mathis released his debut record album, Johnny Mathis: A New Sound In Popular Song, in 1956. Since then, he has had an illustrious career, which spans over six decades, charting a staggering 50 hits on Billboard's Adult Contemporary Chart, including “Chances Are,” “It’s Not For Me To Say,” “Wonderful, Wonderful,” “The Twelfth of Never,” and “Misty.” A highly awarded artist, he has had three songs inducted into the Grammy Hall of Fame, and has been honored with the Lifetime Achievement Award from the Academy of Recording Arts and Sciences.